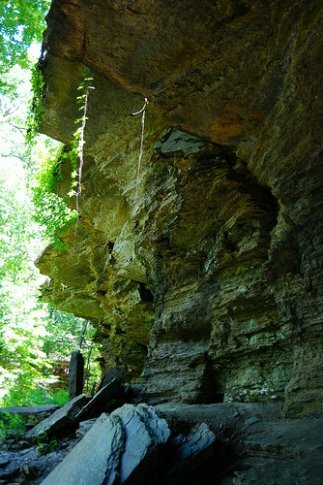 The Heavener Runestone Park Trail System offers three nature trails varying in length from 200 yards to one mile. Each of the three hiking trails are appropriate for beginner-level hikers, though there are some steep grades that may require some climbing. The Runestone Interpretive Trail, located near the information center and gift shop, is approximately 200 yards long and takes visitors to the unique historic site that the park is named after. 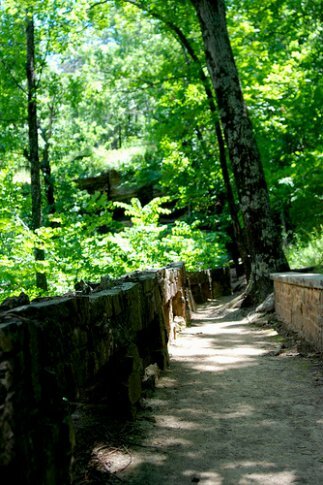 The Nature Trail, which is one mile long, also begins near the information center and gift shop and runs to Group Shelter #1. 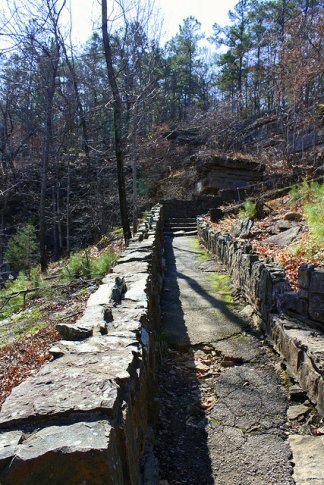 The Cliffside Trail, which is also one mile long, begins at Group Shelter #2 on the southern tip of the park and runs to the runestone. Hikers traveling along this path will enjoy beautiful views from the scenic overlook area, so be sure to bring along a camera.